The GREEN Solution to your Water Damage! 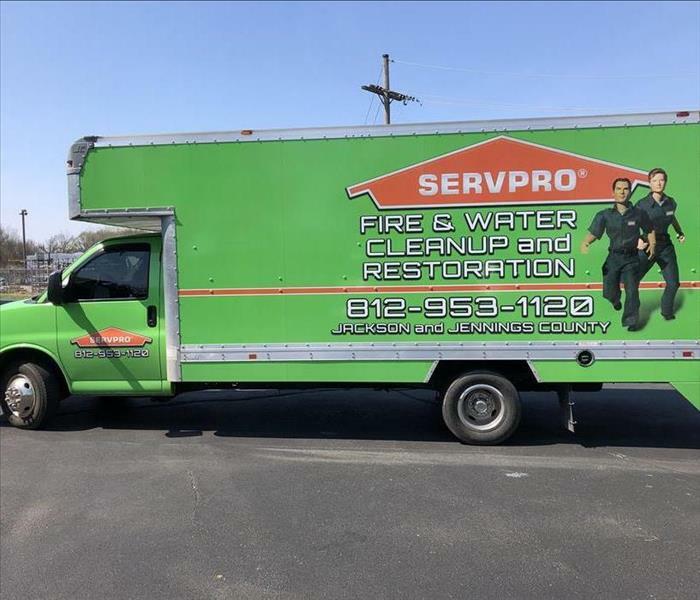 Rest assured that when this GREEN big beast of a truck from SERVPRO of Jackson & Jennings Counties shows up at your home, you can feel relief! We arrive quickly to your restoration emergency with this GREEN mobile response unit. We respond 24/7/365 to your fire, water, and mold damage cleanup needs. 812-953-1120 is the only number you need! Our very own marketing representative, Shae Lee Albright, receiving the Greater Seymour Chamber of Commerce plaque for SERVPRO of Jackson & Jennings Counties located in North Vernon. Local community involvement is important to the husband and wife team owners, Adam & Delana Hare. This is might be what you need when you have a clean water damage... with LOTS of water! It is a weighted extractor. Austin's own body weight is being used for added pressure during extraction. This will save the carpet! Ever have a toilet overflow? And it sat there all day because you didn't know? 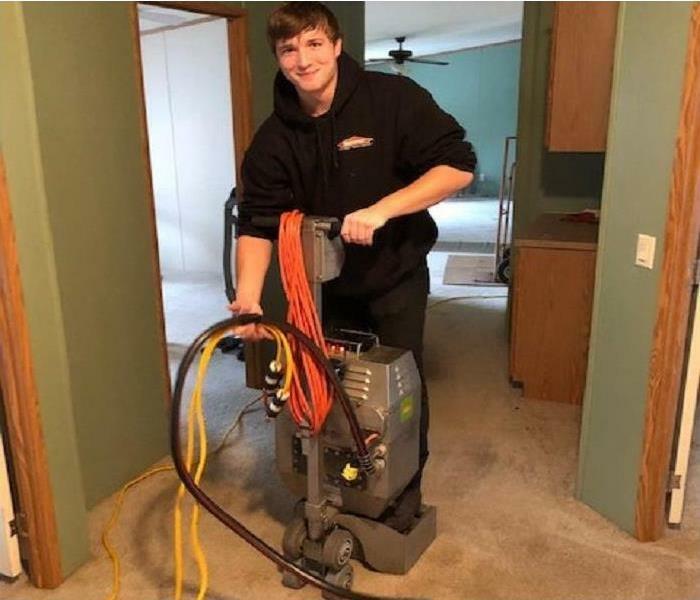 OH NO.... Is your floor ruined? 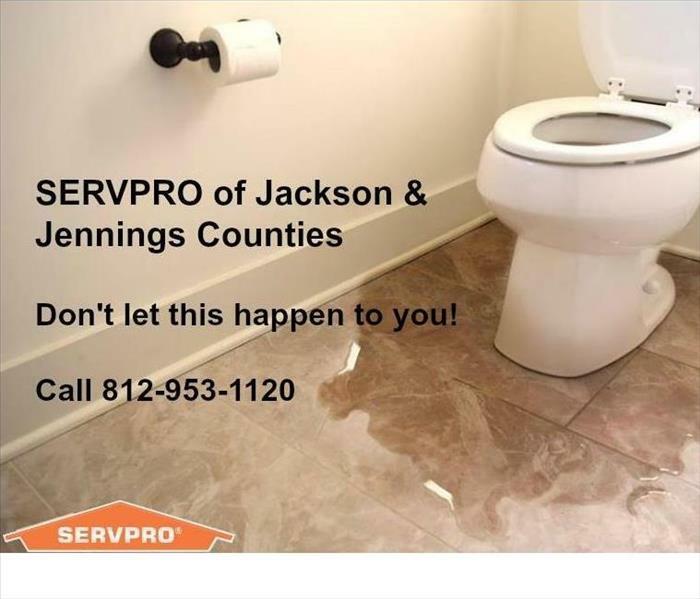 SERVPRO can answer all these questions AND take care of your water damage!